When we asked you what your biggest obstacle to practicing yoga, the overwhelming answer was time. Many people have adopted the cultural belief that we don’t have enough time and there is a collective acceptance that we are continually in a time deficit. 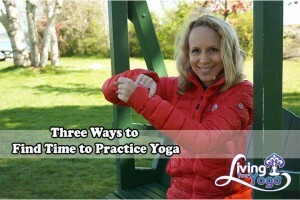 I have two yoga classes that challenge this cultural assumption and I will link to them in the show notes, however, today I am going to share with you three ways you can find time to practice yoga. Remember, you always have a choice. 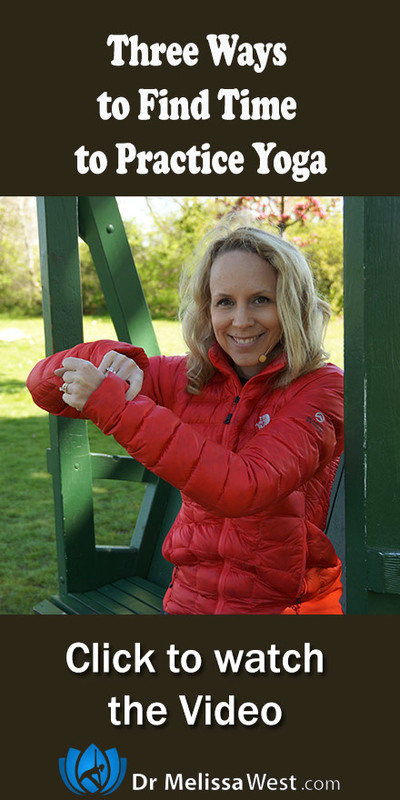 As a yogi, you may be familiar with the chakra system, when you come to the third chakra, you connect with your own power. In relation to time, we give up seeing ourselves as a victim of time, blaming time, and hoping that time will change. When we take back our power and realize that we do actually have a choice as to how we spend our time, we no longer are the victim and we can empower ourselves and celebrate our ability to choose and our free will. With your third chakra you break your vision down into specific goals, tasks, and objectives, and when obstacles appear you have ways of working through them. What is going to give you the most value or yield for your investment in return for your time? Certain types of exchanges of activity will yield higher rewards for their exchange of time than others. For example an hour of scrolling through facebook has incredibly different dividends from an hour of practicing yoga. Certain efforts produce exponentially different results than others. What is going to give you the most value or yield for your time? A recent research study on Facebook found for example that the more people used Facebook the worse they felt afterwards, and the more time they spent on Facebook, the greater their life satisfaction levels declined. Another research study on the other hand showed that just 75 minutes of yoga twice a week on the other hand has been proven to improve your quality of sleep, reduce feelings of fatigue, reduce the frequency of use of sleep medication and improve the sense of quality of life. So, it stands to reason that an hour of yoga is going to give you a better return on your investment in terms of getting a better night’s sleep and a more productive day the next day. You can’t do everything and believe it or not everything is not equally important. When you decide that yoga is going to add value to your life, it is not wise to simply add it into your already busy life. That will simply add to overwhelm, exhaustion stress and anxiety and you do not want that. Saying yes to one thing means saying no to several other things that are not adding value to your life. What can you say no to? How do you find time to practice yoga?